Moscow corporation ATTA Group became the implementor of so-called "restoration works"
The so-called restoration of the Khan Palace in Bakhchysarai will be carried out by the Moscow construction company, which specializes in the construction of turn-key projects. The official response of the "Ministry of Culture" of the annexed Crimea to the request of human rights activist Abdureshit Dzepparov, specified that ATTA Group Corporation (Moscow) LLC is the implementor of the works "to preserve the cultural heritage of the Khan Palace". The company ATTA Group Corporation was founded in Russia in 2010. The site, which apparently belongs to the company (its name and address match), states that ATTA Group Corporation has a long successful experience of working with domestic and foreign designers, investors, construction companies, consulting companies, as well as international banks and financial structures. 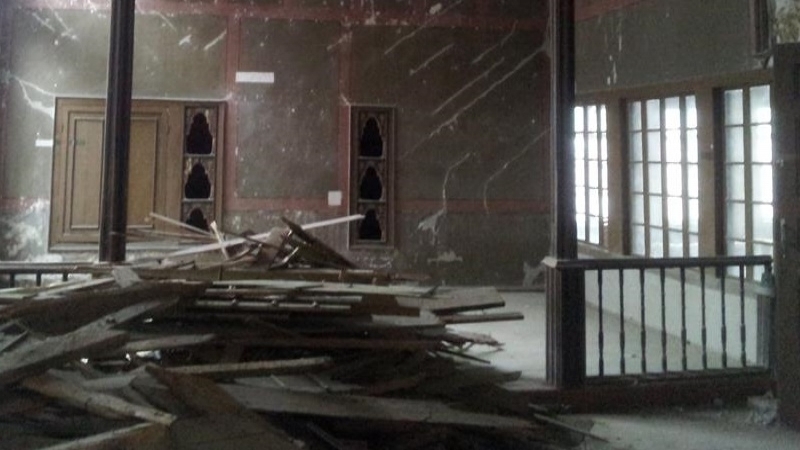 QHA reported that the Crimean Tatar Association of Culture and Mutual Aid in Turkey forwarded an appeal to international organizations and diplomatic missions of various countries in connection with the so-called restoration work in the Khan Palace in Bakhchysarai. Earlier, a well-known historian, author of books about the Crimean Khanate Gulnara Abdulayeva page told on her Facebook that Russia had been encroaching on the national heritage of the Crimean Tatars since the occupation of the peninsula in the XVIII century. Reportedly, Crimean lawyers intend to launch a legal campaign to protect the Khan's Palace in Bakhchysarai. Lawyers will protect the cultural heritage of the Crimean Tatars from unjustified encroachment and intend to apply to UNESCO.